"With this value network, we all share a desire to bring lower rates to employers and a commitment to retain high quality health care for employees." 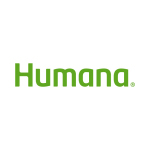 Humana Inc. (NYSE: HUM) announced today that it has formed a new health care network, known as Wisconsin Value Network, that aims to provide a cost-effective and high quality health plan option for employers. With its new Wisconsin Value Network, Humana brings together four major area health care systems into a unique provider network. The hospital systems include Ascension Wisconsin, Aurora Health Care, Bellin Health and ProHealth Care. 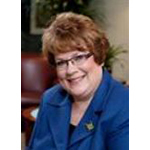 Seymour added that Humana believes this new HMO network will appeal to employer groups in Wisconsin with 2-999 employees who are looking for an innovative, cost-effective, yet simple solution. Humana will begin quoting plans in the Wisconsin Value Network on Oct. 1, 2016, with coverage effective Jan. 1, 2017. Employers interested in learning more should contact their independent agent.